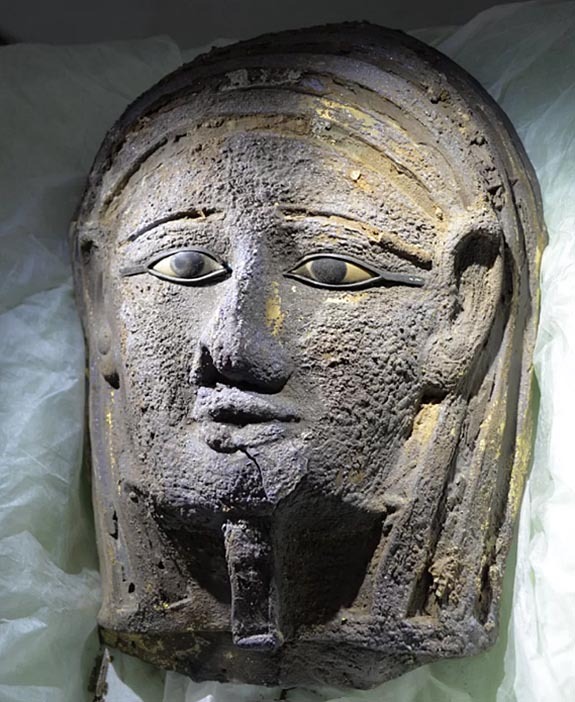 An Egyptian funeral mask crafted of gilded silver and dating back to 664-404 BCE is being called a “sensation” by archaeologists at Germany’s University of Tübingen. 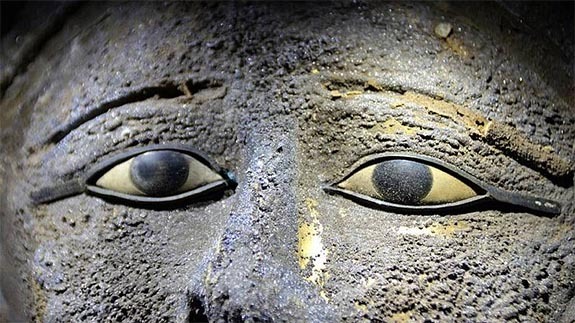 Discovered deep within a necropolis in Saqqara, Egypt, the mask of an ancient priest has eyes inlaid with calcite, obsidian and a black gemstone, which is believed to be onyx. The thin layer of gold leaf that once adorned the entire mask has mostly worn away.